Time is passing fast, no doubt, feels like yesterday when we were toying with the idea of organizing a Kamailio related conference and now we are one week before its 4th edition. 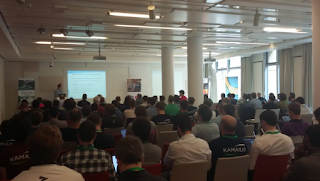 Every year there was an increase in the number of the attendees and we are going to run full house this edition. Of course, we take this chance to celebrate 15 years of development for Kamailio, a long journey, not always smooth, but everything ended up strengthening the project. Being the oldest very active developer, I (Daniel-Constantin Mierla) can say that Kamailio has one of the most active, challenging and pleasant to work with community, including here all the developers and users, this being the main reason of getting to where we are now with the project. Many thanks to all of you for that! Back to the next week, some last minutes updates. The exhibitors are preparing again very interesting product or services show cases and demos for the entire duration of the conference days. Expect some local 4G/VoLTEinfrastructure from NG Voice and Core Network Dynamics. Matrix.org returns this year with an integration between SIP and the matrix federating protocol and platform.Digium will give you the chance to play with their latest SIP phones as well as see demos about the new cool Asterisk features. A consistent team from Sipwise will be around to reveal all the bits of SIP:Provider platform. 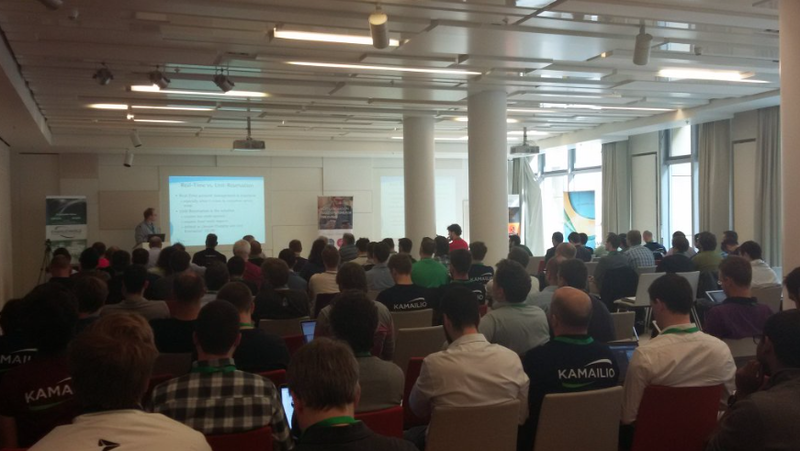 Special thanks to all sponsors that allowed us to bring again an amazing group of speakers: FhG Fokus, Asipto, Sipwise, Sipgate, Simwood, Evariste Systems, Matrix.org, Digium, Core Network Dynamics, Voicetel, DIDx and Pascom. See you next with in Berlin! Kamailio SIP Server v4.4.1 stable is out – a minor release including fixes in code and documentation since v4.4.0. The configuration file and database schema compatibility is preserved. Kamailio v4.4.1 is based on the latest version of GIT branch 4.4, therefore those running previous 4.4.x versions are advised to upgrade. There is no change that has to be done to configuration file or database structure comparing with older v4.4.x. Thanks for flying Kamailio and looking forward to meeting many of you at Kamailio World Conference 2016 next week in Berlin! You can compare the last three above and see how different or similar they look for providing same SIP routing features using different languages. Also, a missing part is handling the equivalents of event_route blocks in embedded languages, an ongoing discussion being open on mailing lists.. Anyone willing to help can start exporting functions from modules to embedded interface or test some more complex configs in Lua or Python. Thank you for flying Kamailio and looking forward to meeting many of you at Kamailio World Conference in less than two weeks!